Fornoff Electric Inc. is a full electrical company for Agoura Hills, CA residents and we are licensed (ref. : CA LICENSE #650958) . Fornoff Electric Inc. was founded by Bob Fornoff in 1968. We are known for two basic principles – reliability and quality. We are your Number One Electrical Company for electrical emergencies in Agoura Hills, CA. If you’re in desperate need of electrical services in the Agoura Hills, CA area look no further than Fornoff Electric, Inc.! Our licensed electricians will quickly assess your emergency and provide a single up-front quote. No hidden fees or unscrupulous charges – you will experience quick and reliable help. 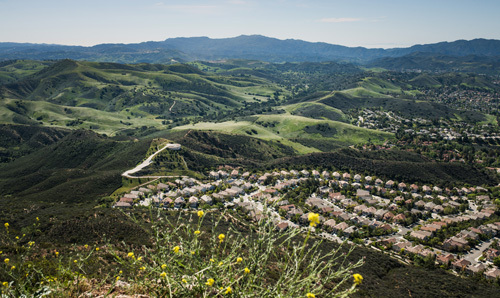 For immediate help call and schedule an appointment with any of our Agoura Hills, CA electricians. Call us at 805-496-9620 NOW! Fornoff Electric, Inc. is ready to help you with electrical service and repair at your convenience 24/7. Whether you have a single-family home, high-rise condominium complex, new construction or turn-of-the-century estate, our licensed electricians cater to all residency types. We are fully bonded and insured for your protection. It is our mission is to make your home more safe, comfortable and a sustainable environment. Fornoff Electric, Inc. is your Electrical Service provider for Agoura, CA. We are licensed, bonded and our work is 100% guaranteed. Call now!